Digging into Proverbs 4 this morning led me to a beautiful reminder of our inheritance through Christ. The chapter is written to encourage those, especially in their youth, to seek and value wisdom and insight. 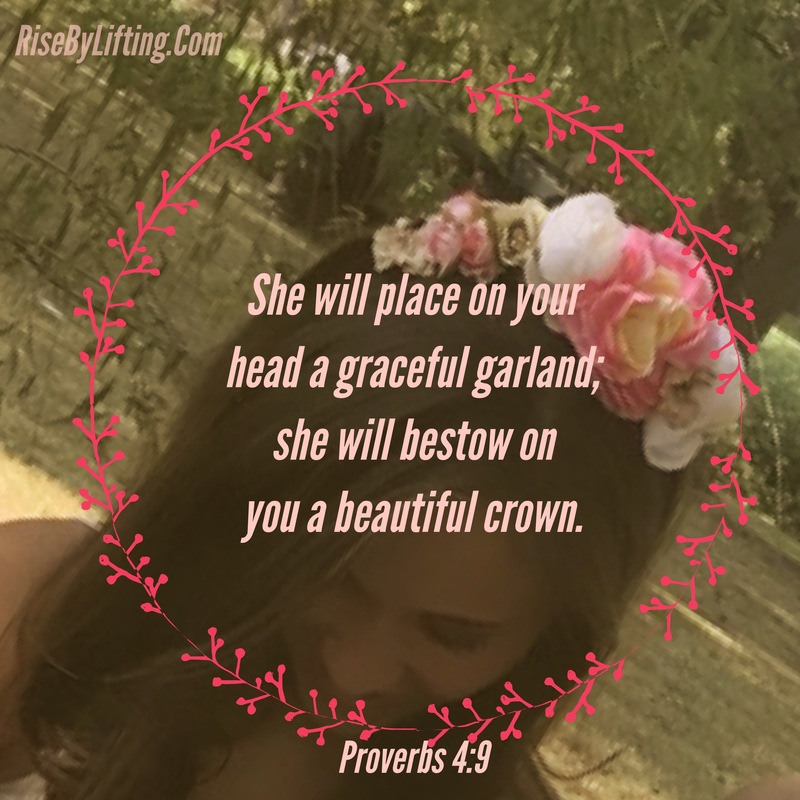 Read Proverbs 4. Underline the instruction and circle the promise, good and bad. If you meditate on them, you will be clearly guided on a well lit path that gets brighter as you journey on. That’s how it works! “Get WISDOM. Get INSIGHT. Get MILK. Get ONIONS Get DISH SOAP. Get it? God gives us a direct order to put on our list 2 essential ingredients in order to create a live that reflects Him. 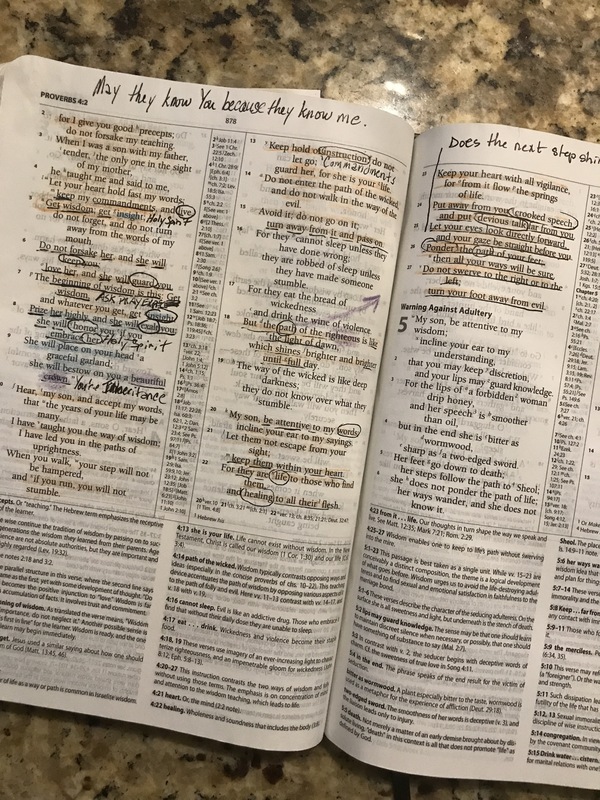 However if you can only bring home (find on the ever changing shelves of the grocery store) one ingredient… he says in verse 7: “Whatever you get, get INSIGHT.” He’s not diminishing the value of wisdom here. Wisdom is a virtue. Insight is a gift. Insight is evidence really of having the Holy Spirit dwell in you. He says to go get INSIGHT, whatever you do! (My emphasis) Why? Because if you have the Holy Spirit, you will begin to have the insight, instinct, intuition, to know where in the heck to get the harder to find WISDOM. The Holy Spirit knows no other way than to guide you to the light where wisdom will be easier to find. If you are unfamiliar with the high octane super fuel of the Trinity, find someone who is and have a chat.